There are alternatives to bank overdraft, and they can have a number of benefits beyond those offered by an overdraft (OD). It is common practice that when a business needs to raise some capital it approaches its bank. It seems a logical step, although one has to remember that a bank will only offer their own products. 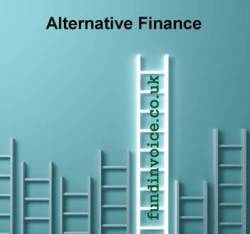 There is an entire alternative finance market available, delivered by numerous independent providers, that can often present a better option than those available from your bank. As business funding brokers, we speak to numerous businesses and often hear stories of overdrafts being either removed, reduced, or unavailable in the first place. We have written previously about the disadvantages of overdrafts, and our own comparatives have show huge funding gaps between the funding levels that can be raised by OD, and those from products such as invoice finance (IF). Looking through some of the product research on our site, I thought it would be a good idea to remind our readers of the benefits that products, such as factoring and invoice discounting, can offer over and above the advantages of having an OD from your bank as these alternative to bank overdraft often yield additional benefits. IF is readily available to almost all businesses, whatever their circumstances (new startups or even CVAs or having prior CCJs), in many cases where banks are not prepared to lend. IF can deliver significantly higher funding levels that those available through traditional bank lending routes. IF is often used in addition to OD, in order to top up the amount of working capital available. Products such as factoring can deliver cost benefits due to the additional services provided (credit control etc.) that are not provided by OD. Factoring can be cost neutral in some circumstances i.e. the savings from the beneifts match or exceed the costs paid. Bad debt protection can be added to IF services, which could shield your business from the impact of a huge customer bad debt. Payroll outsourcing services can be added to IF products, so that you do not have to handle that function in-house, all the paperwork is completed for you. Overpayments can often be arranged in order to get you through a cash flow blip. These are just some of the high level benefits, please call Sean on 03330 113622 to discuss your requirements and see how your could benefit from the alternatives to bank overdraft.